Just under £1k raised by ABD Team! Lisa Coates, Sharon Perkins and Carole Sanders. CONGRATULATIONS - THEY MADE IT! The day was an emotional one for all. Onlookers cheered and waved to a sea of female runners and walkers wearing pink t-shirts. Everyone was there for a reason of their own. All had great determination. All were supporting a very good cause. The weather was great not to mention ABD finishing times. 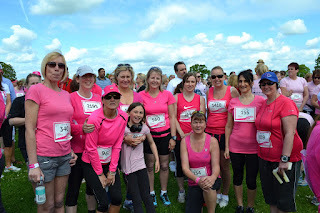 Catherine Cole who is an experienced runner and has run Race for Life on a number of occasions was delighted to finish within the top 30 runners in just over 26 minutes shortly followed by Rachel Fereday. Cindy Ervine and Alice were not far behind! Well done and many congratulations to ABD Team. 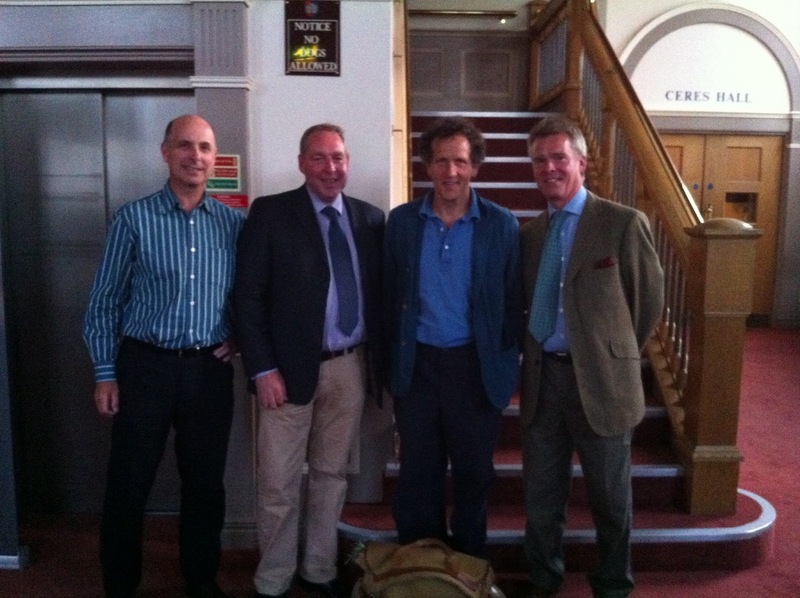 ABD is delighted to be key Sponsors of Devizes Festival again this year, and in particular an evening with TV gardening guru and celebrity "Monty Don " which took place on Saturday 8 June 2013 at the Corn Exchange, Devizes. The event was a sell-out!! Approximately 400 people filled the Corn Exchange and listened to Monty chatting about his life, gardening and career. The slides of his garden and not forgetting Nigel his dog were amazing! After a question and answer session with the audience, book signing took place and ABD partners: Alistair Everett, Roger Chadwick and Andrew Douglas were fortunate enough to have their photograph taken with Monty! Monty Don and Andrew Douglas.